Come on sheeple, why don't we eat more fast-food lamb? Americans like fast-food beef burgers, fried chicken, bacon breakfast tacos, even fish-filet sandwiches. So why not add lamb to the list? Bloomberg has an interesting look at how chain restaurants and fast-food joints are slowly introducing more lamb to the menu, warily watching consumers to see how the meat will sell. 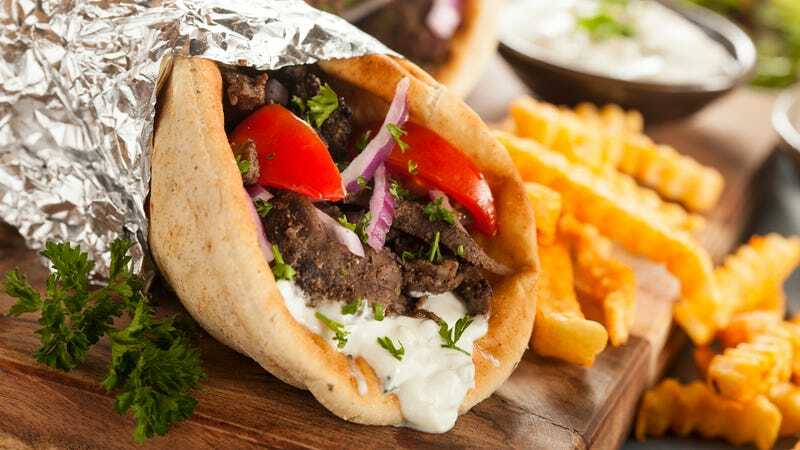 Arby’s will soon move its lamb gyro from limited-time special to year-round option, and other chains including Potbelly, Yard House, and Zoe’s Kitchen are also dishing up new lamb burgers, meatballs, and gyros. But Americans aren’t traditionally stoked on lamb. Bloomberg reports only half of Americans say they’ve tried it, and only 20 percent of all U.S. restaurants serve it. Why? Perceptions of “gaminess” as well as the fact that lamb, like its cousin veal, is a baby animal—lamb must come from a sheep less than 14 months old. Maybe we all watched too much Lambchop as kids. Per capita, Americans eat just 0.9 pounds of lamb annually.